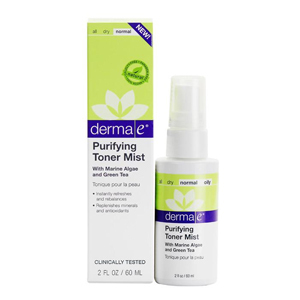 Derma E Purifying Toner Mist Review: Does It Really Deliver Results? 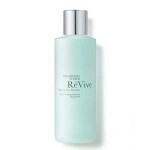 It is a pH balanced toner that claims to instantly refresh, re-balance and fortify skin against environmental pollutants, such as cigarette smoke, fumes and heavy metals. It is brimming with antioxidants and minerals, which are said to be powerful natural toxin fighters. It also protects skin against free radical damage caused by UVA and UVB radiation. 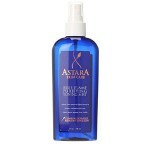 To know if this product is a good addition to your daily beauty routine, read this Derma E Purifying Toner Mist Review. Started out as a small health food store in Southern California, Derma E’s first product was Vitamin E 12,000 I.U. Moisturizing Cream. The company launched more products over the years with the philosophy of improving skin through the right combination of powerful vitamins, nutrients and skin-loving ingredients. All Derma E products are 100% vegan and cruelty-free. They do not contain harsh or sensitizing ingredients, like parabens, petrolatum, mineral oil, soy, GMOs and gluten. Derma E has grown to become one of the biggest natural facial care brands in the U.S.
To use Derma E Purifying Toner Mist, cleanse and dry your skin, and then close your eyes and mist face, neck and back. Gently shake the bottle before using. Kimarine® Wakame: Touted as the Japanese health secret for the skin, this seaweed is rich in magnesium and potassium and all amino acids. It is clinically proven to protect skin against pollutants, such as cigarette smoke, fumes and heavy metals. Bladderwrack: A type of seaweed that has the ability to soothe skin irritations like dryness, itchiness and burns. It also provides skin hydration and helps minimize the visible signs of skin aging. Green Tea: Having antibacterial and anti-inflammatory properties, green tea can effectively fight bacteria and inflammation. Loaded with antioxidants called catechins, it helps keep the signs of skin aging at bay. Tannins in green tea can also help shrink pores. Nourishes, hydrates and rebalances skin. Rich in antioxidants that can help fight premature skin aging. Protects skin against toxin-infused pollutants like fumes and cigarette smoke. Does not contain parabens, sulfates, mineral oil, lanolin, gluten and GMOs. Leaves skin sticky and uncomfortable. Some customers say it seems fairly useless. It may cause redness and irritation. Based on customer reviews, it can cause burning sensation in eyes. Derma E Purifying Toner Mist is a natural and vegan product and does not contain harsh ingredients. For these reasons, it is worth considering. However, based on reviews, it is evident that this toner mist is not for everyone. It could cause stinging and irritation and may not be effective for certain skin types. Try to check out other brands before actually buying. All Derma-E products come with a 30-Day Money-Back Guarantee. However, it is only applicable to items purchased on dermae.com.